Is There More To A Carrera Vendetta Mens Mountain Bike Than The Wheels? 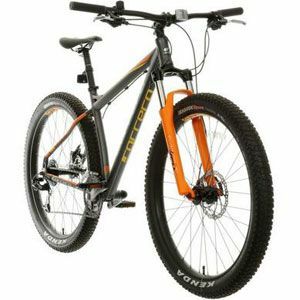 Mountain bikes like the Carrera Vendetta Mens Mountain Bike are made to stand out from the crowd. There are elements to the design that should draw riders in while also achieving compliments from other riders on the track. This MTB is sure to do this in a couple of ways. First of all, there is the size of the wheels and the promise that brings of a better ride. Then there is the stunning orange paintwork. There is a lot going on here, but does the bike deliver where it counts? The Carrera Hellcat Mens Mountain Bike comes with some great sales promises about its potential on the trails. This is a mountain bike that is designed for speed and comfortable riding due to the weight, gears, suspension, tyres and more. The company promise that riders can go further for longer thanks to the 15kg alloy frame, 24 speed SRAM gear set and Suntour XCM front suspension. This sounds like a good choice for those that want to enjoy the countryside at their own pace. But, does it live up to buyer expectations? Is The Carrera Vengeance Electric Mountain Bike A Good Hybrid Model? The Carrera Vengeance Electric Mountain Bike should be a great choice for those that are interested in both ebikes and mountain bikes. The brand seem to have created an interesting hybrid here. They claim to have used the “foundations” of their popular Vengeance mountain bike, with its handling and comfort, and added electric elements. Is this the compromise that buyers are looking for? 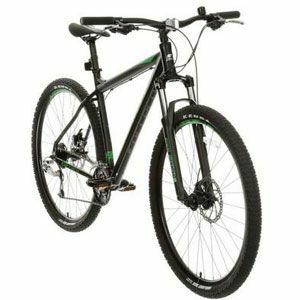 Why Is The Carrera Vengeance Womens Mountain Bike Such A Best Seller? The Carrera Vengeance Womens Mountain Bike is promoted by the company as their best selling bike, which automatically piques the interest of those after something reliable. The designers put this down to the combination of the light frame, comfortable saddle, absorbent suspension and sharp brakes. There is also the nice design, which isn’t too overbearing for new riders. Are consumers in agreement, or are there flaws that Carrera overlook? Is A Carrera Vulcan Electric Mountain Bike Really A Smart Idea? The Carrera Vulcan Electric Mountain Bike is a smart looking bike for those that want a slightly different approach to their mountain pursuits. 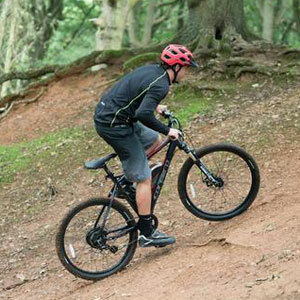 Many keen riders have a set of priorities when it comes to the perfect mountain bike. The idea of a battery and motor for assistance isn’t usually high on the list. Yet, this could be appealing to those that lack the confidence to give mountain biking a try. 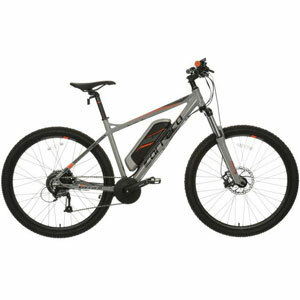 The electric mountain bike has a series of frame sizes and a simple look with the black and grey. The battery is the star of the show, but is it really that impressive? 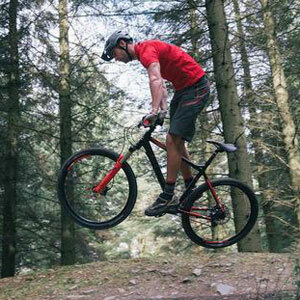 Is The Carrera Fury Mountain Bike Fast Enough For Experienced Riders And Safe Enough For Novices? The Carrera Fury Mountain Bike is a good looking, mid-range bike that promise a lot form the specification for a model that comes in under £1000. The thick black tyres and smart black frame are accented with red for a bold look on their trails. The name Fury suggests a model that isn’t afraid to attack the terrain and give riders their money’s worth, but is this what riders actually experience?